It seems as though Microsoft wants to build up as big a user base as it can for Windows Phone, and then trap them with obsolete hardware. It doesn't sound like the best idea, but it does seem like the idea that has stuck for Microsoft as news has come out that Windows Phone 8 handsets won't be launched until November. Normally, when a company has an announcement that essentially amounts to "don't buy the current hardware, because it will be obsolete before the end of the year", as Microsoft did with its WP8 announcement, the plan is to push out the new hardware as quickly as possible, because people will be less likely to buy if they know a big update is coming. This is why Apple announces iOS hardware and Google announces Nexus hardware usually within a month or so of when it will be launched. Unfortunately, Microsoft chose the RIM path (never a good choice), and announced on June 20th that current handsets will not get any real updates, just the WP7.8 placeholder. This would make a solid 5 months between that news and the launch of the first wave of WP8 devices. This news comes from Mary Jo Foley at All About Microsoft, who says that WP8 likely won't get its release to manufacturers (RTM) until September, which would mean no WP8 handsets in stores until November. It would definitely benefit Microsoft to get things ready sooner, because we can't imagine very good Windows Phone sales until WP8 launches. NNNNOOOOO!!!!!!! (oh wait... im not getting the update.) Carry on. Microsoft is just digging a deeper hole for them selves. Glad my GF doesnt care if her phone is using an out dated Titan. Ill rock my Galaxy nexus. Here in the UK there's a Lumia 800 advert almost everyday. Why the hell are they still advertising it when you won't be able to upgrade? Because it's still a solid phone and not many people will be aware of the WP8 thing. They're not just going to pull all hardware because in several months it won't get a certain update, but will only get an update that is very aesthetically similar. Haha lmao windows is so lame, just like any other windows os, move on and forget the rest. Only thing keeping them alive is making money off Android oem's and Xbox live. How sad for Microsoft. Honestly, to be fair, WP8 is upgrading in the hardware department more so than the software department. Sure, there is a software upgrade, but most of the shine was the promise of better hard: bigger screens, multicores, microSD support, etc. 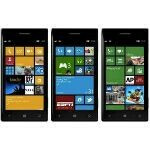 I'd love for Windows Phone 8 phones to be released sooner rather than later, however, slow and steady wins the race. After all, OEMs are still releasing new phones with Gingerbread preinstalled and a lot of features of iOS 6 won't even be able to be used on the iPhone 3GS and iPhone 4. Microsoft usually knows what its doing, so let's not count them out yet. why does Microsoft take so much heat? My GF has a Stratosphere and Samsung has pretty much said that it will not get Ice Cream Sandwich and I have a Droid 4 which is still waiting for ice cream sandwich while Google is readying to release Jelly Bean. It seems google and apple can do no wrong while MS can do nothing right. When I buy a phone I buy one that fits my needs not one that will fit my needs when updated…..
so does this mean we wont se some WP8 Nokia Lumia device? the nokia world will be on september, and if this news is true, nokia has nothing to show on the nokia world event this september.... what will nokia show up on nokia world? some feature phones? new sucky asha touch? (i like the new interface but hate s40, no apps, no multitasking and not competitive to low end android namely samsung galaxy y).... or will they introduce the new linux base OS that they are brewing? the smarterphone team doing (not meltemi) why microsoft why??? please dont keep us hanging on!!!! but when will they release the surface tablet? and its price? WP 7.5 was enough of an upgrade from Ice Cream... granted 7.8 > 7.5, a solid product continues to shine (even brighter). WP8 is just going to be another level... People will still continue to love WP 7.8, and... All the people who are actually going to be using many of the WP8 only features should have known WP7 would not be upgradeable to WP8... After all a phone with no NFC will not be able to use it - similarly nonexistent hardware was not going to magically appear with a software update. It's better that they are upfront with consumers rather than string them along and then announce they will not get the update closer to the launch of WP8. This benefits us and is by far fair by Microsoft. It may hurt their sales but they are honest. WP8 will rock. Wow folks this could really hurt Nokia especially. The word is out that the current Windows 7. smart phones will not get upgraded to Windows phone 8 therefore sales of the current smart phones will be terrible for Microsoft must step up to the plate and get windows phone 8 software to it's OEM's by September better still the last week of august. I hope Microsoft does not announce a new product no earlier than 6o days be fore it is on store shelves. Microsft's should have announced the Surface tablet and windows phones 8 in mid September which is a time closer to availability.to buy in the stores. I think i'm beginning to see the trend of people wanting to change to a new OS other than android and iOS..... Most of friends who are smart and tech savy have a windows phone now. So i'm waiting for windows phone 8 and see how it goes for me. I used to hate windows product due to the fact windows platform did disappointed their consumers.... But when i try the phone for myself and i think it is one hell of a phone actually. Folks for Nokia's sake at least Microsoft must "RTM" Windows Phone "8" in August because to bring a high ticket Item like a smart phone out in November is suicide because it is too close to the "Christmas" Presents buying season! people are engaged in buying presents for Family, friends, loved ones and business associates. I do not know many People who give People smart phones for Christmas presents. an October Media sales blitz with Nokia bring out the fist Windows 8 smart phone would be Cool. Man of man I would love to have a Nokia Lumia 900 with a high def screen. NFC, Dual core Processor, and a Pure View 12 mega pixel camera. bring it on Baby!